Our Acai bowls are a nutritious blend of freshly frozen fruits and pure acai juice. We top them with the freshest of ingredients with lots of options for you to choose from. 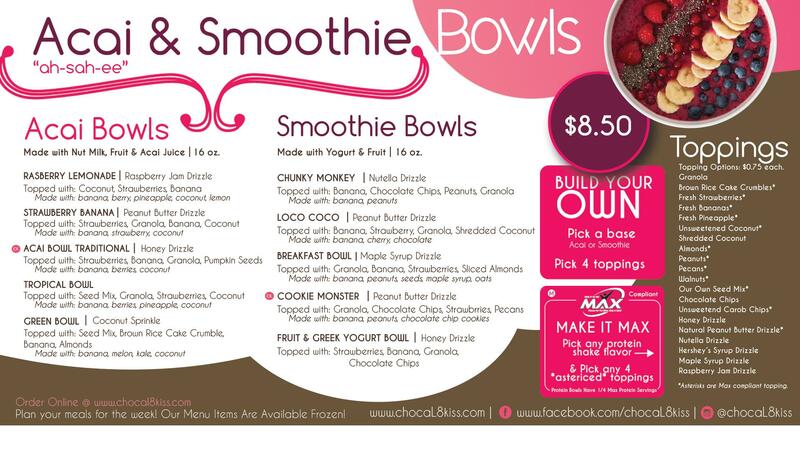 We also make smoothies bowls with freshly frozen fruit and greek yogurt topped to perfection.